In the United States, many people make purchases with their credit card, though contactless payment is growing in popularity, in the US and abroad. Barclays has a mantra - to give its customers a choice about ways to pay. The choices include contactless payment via a chip that is located inside a common object. Todd spoke with Adam from Barclays at CES 2018. Barclays Bank has always been at the pioneering end of innovation. They are integrating contactless payments into normal form factors. 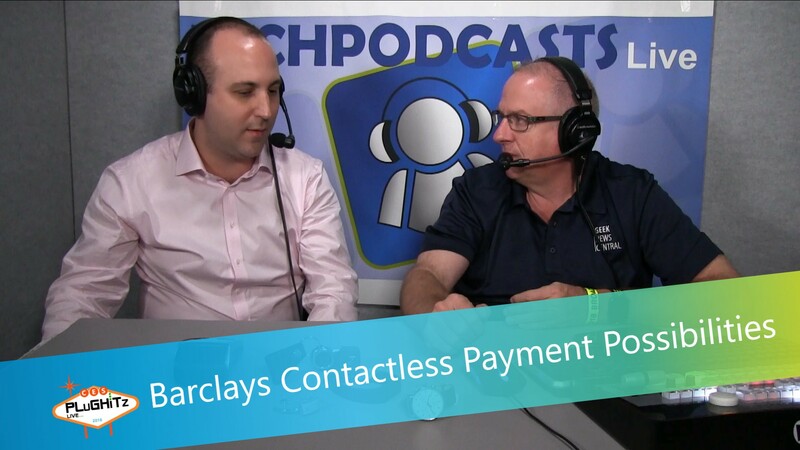 Barclays has the smallest contactless payment card on the market. They use it to make non-smart devices smart. The Barclays contactless payment card is small enough to be integrated into items you already use, such as fitness bands, watches, vehicle key fobs or jewelry. Companies who make those items partner with Barclays, and the result is that people can make small contactless payments with these items without having to enter a PIN. Barclays contactless payment option is currently available in the United Kingdom. It is not yet available in the United States.